I once heard former CMG-writer David Greenwald succinctly answer the question “What is shoegaze?” by saying, “Something that sounds like My Bloody Valentine.” The answer is far from all-encompassing, but it’s still useful because for anyone who, say, reads music reviews for fun, it basically answers the question. Similarly, you can answer the question “What happened in indie rock in the last fifteen years?” with “What Radiohead did.” They were a rock band, an alt-rock band, a “difficult” rock band, an electronic rock band, a semi-ironic rock band, and then not really a band but a series of decisions about distribution and pricing. Radiohead isn’t the best, or the first, at doing any of these things, of course, but that they started from a decidedly mainstream rock position made them the gateway band for thousands who wondered what Warp Records’ back catalogue sounded like. It’s become so convenient that we can admit without much rancor that to write about indie rock is to write about or around a narrative arc conveniently exemplified by Radiohead. The utility of that arc is inescapable, like a black hole that swallows all analysis. Even Thom Yorke can’t wriggle free from its pull. Since that time, and with each new release, Yorke seems to be breaking apart, a little, that convenient narrative we’ve imposed, making himself and his band mates seem a little less visionary, a little less conceptual, a little less thematic. Radiohead’s turn-of-the-century output sounds less like a document of utter necessity and more like Thom Yorke raided the electronic bin at his local record store at just the right time. That doesn’t make reinventing an MTV Beach House alterna-band into the-same-band-but-really-into-Warped-Records-this-time any less admirable or impressive. If true, it’s just one less convenient narrative for us armchair historians of mainstream rock to lean on. My point being that when I listen to a new Yorke effort, I find myself asking, “What does this mean in the context of all of those Big Ideas I’m told OK Computer and Kid A contained?” And, increasingly, my answer is: nothing much. So much so that I’m starting to doubt those Big Ideas were ever there to begin with. This is the third album Yorke has fronted that has lacked much sense of dynamism or space, or a lyrical agenda, the other two being the suddenly-appearing and puzzlingly bland The Eraser (2006) and 2011’s doesn’t-even-make-sense-until-you-hear-the-songs-live The King of Limbs. 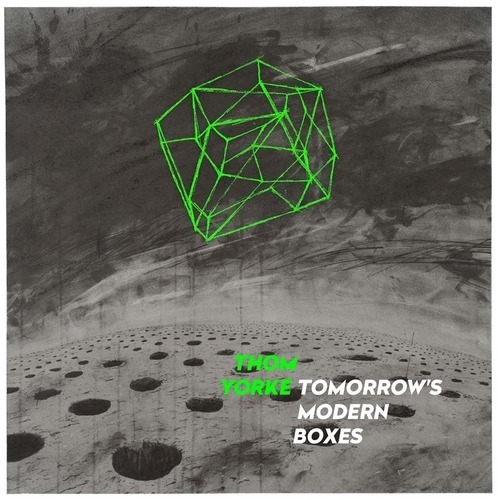 Each of these albums, when they dropped without much sense of consequence, seemed to imply Yorke’s interest in making skittering IDM with the notable addition of his warbling falsetto and incoherent lyrics. In other words, these songs seem designed to speak not about anything, but to our expectation that Yorke is a songwriter with subjects about which he wants to speak. It’s appropriate that at a time when some are writing about how m b v deflates the impossible perfection of Loveless (1991)—and even with m b v being a great record—that we also look at just how much value the myth of Radiohead once provided and how, next to Amok, it’s a little bit duller, a little bit dustier, and a little less prescient. Atoms for Peace is even more puzzling than The Eraser or The King of Limbs; it reportedly involves unlikely collaborators Flea, of the Red Hot Chili Peppers, and Joey Waronker, the epitome of an unimposing session drummer. Not that it matters, because evidence of either musician is practically nonexistent here, leaving speculation open as to whether they’re merely the touring group, or took on new roles for Atoms for Peace, or what. Those waiting to see if Flea might duplicate his blistering performance on the Mars Volta’s ostentatiously silly debut album will be disappointed. All of which is fine; both Flea and Waronker are allowed to show an interest in torrenting plug-ins when they’re not doing the things they’re known for doing. But it seems uniquely frustrating to know that a band made up of distinct songwriters might produce an album where every one of its nine tracks sounds like it was written in the exact same tempo and without anything resembling textural variety. 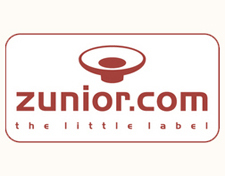 Opener “Before Your Very Eyes…” is really the only song that comes within a mile of funky or offers a memorable melody. The rest of the album repeats a pattern of plunking detail noises, a few shuddering bass synths, some dabbling on guitar, and Yorke’s increasingly unlistenable lyrics. The arrangements are claustrophobic and underdeveloped, too tediously subservient to vocals to attain the sort of mesmerizing repetition we might associate with an Autechre or Four Tet. More simply put: it’s unclear what the enhancing function of this collaboration is, if any. Then there’s Nigel Godrich, with whom Yorke has been DJing in advance of this release and of course working on Radiohead albums for several years. One suspects Atoms for Peace is as much Godrich’s brainchild as Yorke’s, and that the two have reached indistinguishable levels of symbiosis. Amok does possess the crystal clarity for which Godrich is known, but again it’s puzzling to understand how such a finely tuned ear can produce something so smothering and dead-seeming. 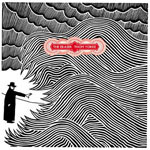 Or does the fact that the songs across three differently-named venues—Thom Yorke’s solo stuff, Radiohead, and now Atoms for Peace—sound same-y and purposeless mean that Yorke (or, one supposes, Godrich, who produced all three) is snuffing out all of those features that might make a band sound like a collaborative act? While not particularly terrible, the aesthetic on which Yorke and Godrich have landed can often be drab, featureless, and unmemorable, even if you can sense the impeccable and careful construction. And where those early Radiohead albums were perhaps over-praised for providing cinematic definition, these latter albums are connected to each other for their seeming lack of interest in defining anything at all. Another useful contrast might be Johnny Greenwood’s own solo compositions, usually for a film or a dedicated performance. Here is a writer bringing his substantial skills to projects with clearly defined purposes, narratives, agendas, reasons for existence; one does not need to think about Greenwood’s involvement to appreciate the way sounds and subject segue together. His ego doesn’t seem to be on the radar. About Amok, by contrast, I can provide little more justification for you to listen than it being a lukewarm IDM record for people who like that kind of stuff, and the fact that Thom Yorke is in it. 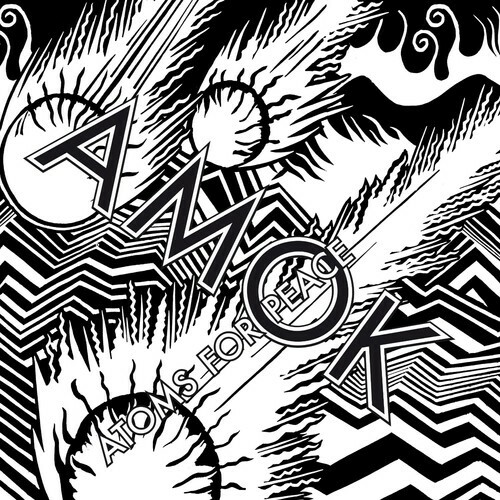 Amok being boring is the worst outcome, it seems, worse than Amok being what a collaboration between Thom Yorke and Flea might have been, which is bad in an interesting way. Instead, Amok is a palatable piece of 21st Century electronic pop that generally sounds complex without really being that complex at all. It’s as smooth a surface as Yorke has ever painted, without grain or contour. It seems designed to say little, to equivocate, to slither around the perimeter of our expectations. And if that was the point all along, it succeeds brilliantly.